Although the tattoo is very, very real! When we heard that Ed Sheeran had got himself a Galway Girl tattoo in honour of his latest chart hit, we weren't that surprised. The singer/songwriter has got plenty of ink on his bod already, so surely another wouldn't be too much. Then we found out that there was a mistake with the tatt and it actually says Galway Grill! WHAT?! Ed claimed that his good friend and Hollywood actress Saoirse Ronan gave him the ink but made a mistake when she wrote it. 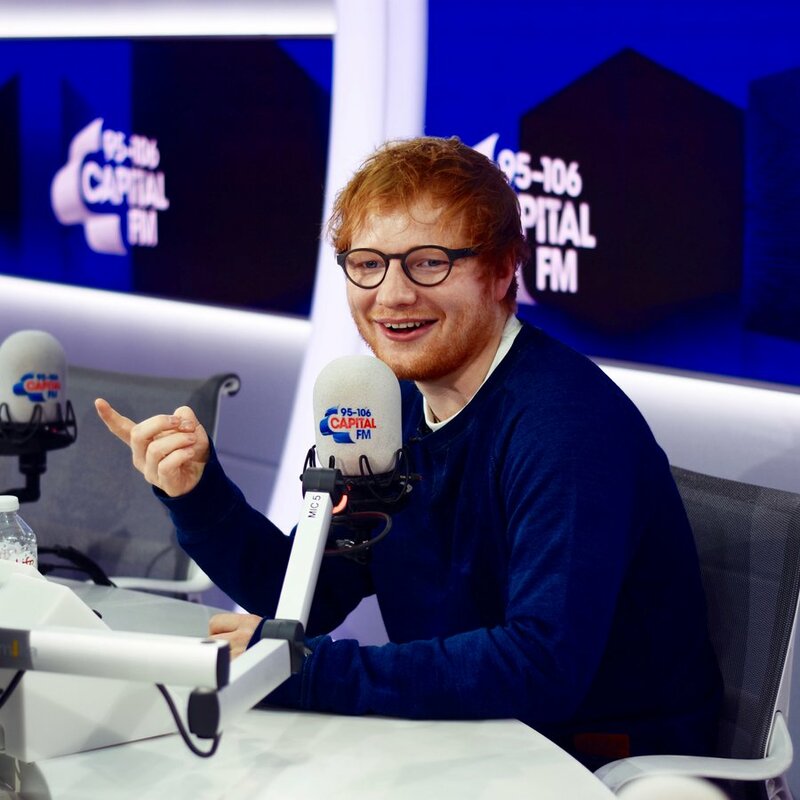 However, Mr Sheeran has exclusively told Capital Breakfast With Bodg & Matt that the whole story WAS A MASSIVE LIE! Explaining the real story behind the tatt, Ed said, "It's not actually what I said it was. It was planned for the video - she didn't play the prank on me. Basically the video's from my point of view, Saoirse takes me into a tattoo parlour and she was meant to write down Galway Girl and then I was like 'gonna be funny if you write down something different' and then she came up with Galway Grill." How could you deceive us like that Ed?! We've been seeing Roman Kemp wearing a lot of high socks recently. Now that we think about it, even though it's getting hotter, we haven't seen Ro in shorts since early March. Why? Because he's still cringing at the fail of a tattoo Ed Sheeran gave him. When the 'Shape of You' singer came by, he inked Roman with the words "Ed Woz Ere 2k7". But it's not 2k7, is it? It's 2k17. We thought Ed had had a taste of his own medicine, by getting a mistake inked on his body too, but it seems that's now not the case. The 'Shape Of You' singer originally announced to his Glaswegian crowd that his good friend, Saoirse Ronan - who can be seen in The Lovely Bones and The Grand Budapest Hotel - stitched him up when he got his latest tattoo. The 23-year-old star made a handwritten design for Ed, which was meant to commemorate Ed's latest hit, 'Galway Girl', but the red-headed singer actually revealed to his fans that it read as "Galway GRILL". "It actually says Galway Grill. G-R-I-L-L. She really took the p**s out of me - full on," Ed claimed at the time. Even though he did it on purpose, we're pretty sure Roman won't feel so bad about his 2k7 now! > Catch Capital Breakfast's BRAND NEW Presenter, Roman Kemp, Right Here On Our App!